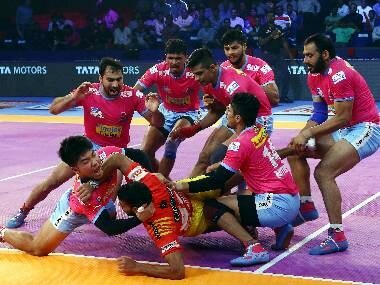 Preview: In the final game of their home leg, Jaipur Pink Panthers face off against Dabang Delhi for the final time this season at the Tau Devilal Sports Complex in Panchkula on Thursday. The home side will aim to reduce the gap on Puneri Paltan in the fourth place of Zone A as the league stage nears its closing leg. 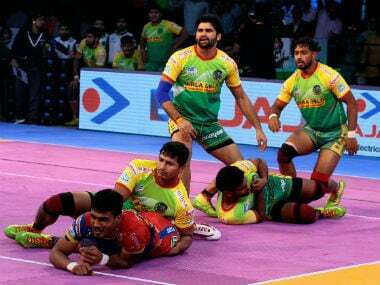 With Dabang Delhi sure to finish third in the zone, they may want to try out their strongest lineup as they prepare for their first ever appearance in the Pro Kabaddi Playoffs. The two sides have previously met twice this season with Dabang Delhi winning both games. Dabang Delhi won the previous game between the sides by a thirteen-point margin despite Deepak Niwas Hooda returning with 20 points. 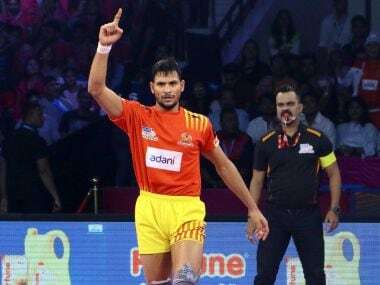 For Dabang Delhi, Meraj Sheykh managed his first Super 10 of the season, ending the night with 15 raid points while Ravinder Pahal managed a High 5. Sunil Siddhgavali has come into his own in Jaipur Pink Panthers’ home leg. He is their leading defender over their past five matches and has managed two High 5s over that period, including an eight-point effort against Puneri Paltan. Up against a strong Dabang Delhi offence led by Naveen Kumar, Siddhgavali will have his work cut out. However, he will look to put in another strong performance as Jaipur Pink Panthers seek to finish their home leg on a high. Having had a quiet start to the season, Meraj Sheykh found his form in Dabang Delhi K.C.’s home leg. Since then, he has been their leading raider, having scored 47 points in that period. 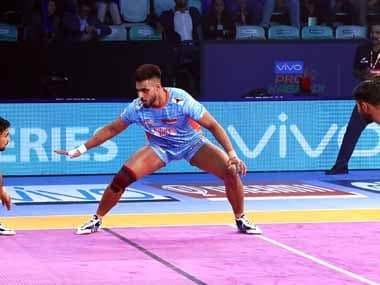 His best performance came against Jaipur Pink Panthers in their previous outing as he returned with 15 raid points on the night without being tackled even once.